Was 33 years at the time of selection. Maj.., U.S. Marine Corps, considers Baldwin, New York, her hometown. 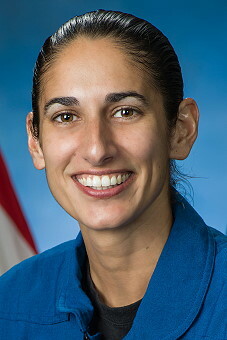 She earned a bachelor's degree in aerospace engineering with information technology at MIT, followed by a master's degree in aerospace engineering from the Naval Postgraduate School. She also is a distinguished graduate of the U.S. Naval Test Pilot School. Moghbeli currently tests H-1 helicopters and serves as the quality assurance and avionics officer for Marine Operational Test and Evaluation Squadron 1 in Yuma, Arizona.